Since her days in grade school, Lorraine Llauger has had her heart set on earning a college degree. Though she went to a college preparatory school while growing up in New York, until recently it looked like she’d never achieve her dream. “I joined the Army and I didn’t go to college. Even though you can accomplish in other ways in life, I’ve always wanted to have that degree,” Llauger emphasizes. Llauger, of Kissimmee, Florida, is now a journeyman electrician and a longtime member of the International Brotherhood of Electrical Workers (IBEW) Local 606 in Orlando. 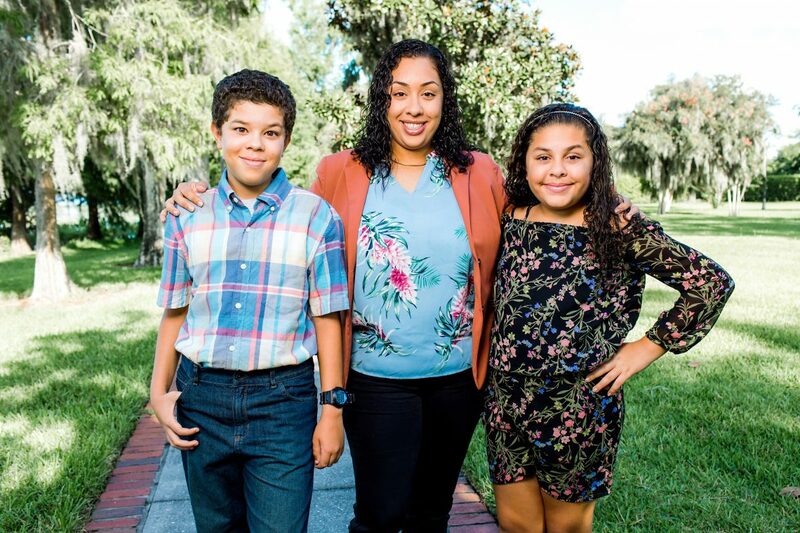 In addition to her full-time job, she’s also a single mom raising two children on her own, leaving her little time and resources to take college classes. “I never thought I’d be going to college. I thought, where am I going to find the time? I can’t go off to a campus,” she reflects. Llauger resigned herself to setting aside her education goals, perhaps permanently, until one day her coworker mentioned the Union Plus Free College Program. Within weeks, Llauger was registered and taking classes online. “I have never taken college courses, so it’s like an awesome, fresh start for me,” she says. The Union Plus Free College Program partners with AFSCME and Eastern Gateway Community College to offer online courses and degree programs with no out of pocket cost to active or retired union members and their eligible family members, including spouses, domestic partners, children (including stepchildren and children-in-law), financial dependents and grandchildren. Llauger is now working towards an associate degree in Business Management and is on her way to attaining her longest-standing goal. She especially appreciates the ability to take classes and do her work on her own time, anywhere. Of the coursework, Llauger notes that the balance between flexibility and work put in is realistic. Llauger is in “a good place” with her current job and doesn’t know what comes next for her, but she is hopeful that having this degree under her belt will help her achieve any future goals she sets, including getting a bachelor’s degree. To learn more about the Union Plus Free College Program, visit www.unionplusfreecollege.org or call 888-590-9009.